The Best Time To Buy A Havasu Home. We all know that buying a home is a serious investment. There’s a lot to consider, the down payment, monthly mortgage, home maintenance, taxes and insurance. It might seem overwhelming but the information to follow might just make your day! 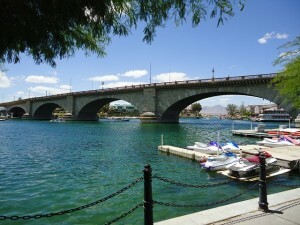 Even with all the costs, you can save more than $200,000 over the next 30 years if you buy your Lake Havasu home today. How can this be? Mortgage rates are expected to increase and home prices are increasing quickly. At a nationwide level, the 30 year financial advantage of owning today is $217,726, according to Realtor.com. In some places across the country it could be more, in others less. You may be thinking that you won’t be in your Lake Havasu home for 30 years. If you’re thinking of postponing for one year, you could be losing out of an estimated $18,672 in savings. Wait another three years, and that amount could increase to $54,879. The bottom line is, postponing your purchase will increase your cost if you wait three years or even one. Think of purchasing your Lake Havasu home like the decision to start contributing to your 401(k). Delay contributing, and you lose out on the compounding returns. Famous for its perfect weather, Lake Havasu homes are some of the most sought after in the country. With mild winters and 300 days of sunshine, Havasu is the ideal place to live. You’ll find residents as well as visitors visiting the lake all year round.